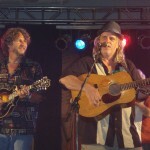 Delfest 2012 took place May 24 – 27, Memorial Day Weekend. This was my first time attending the festival but will certainly not be the last. 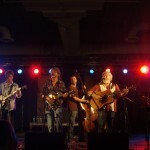 The lineup was a magical mix of the finest traditional bluegrass bands and pickers along with fresh, progressive jam bands with a bluegrass flavor. 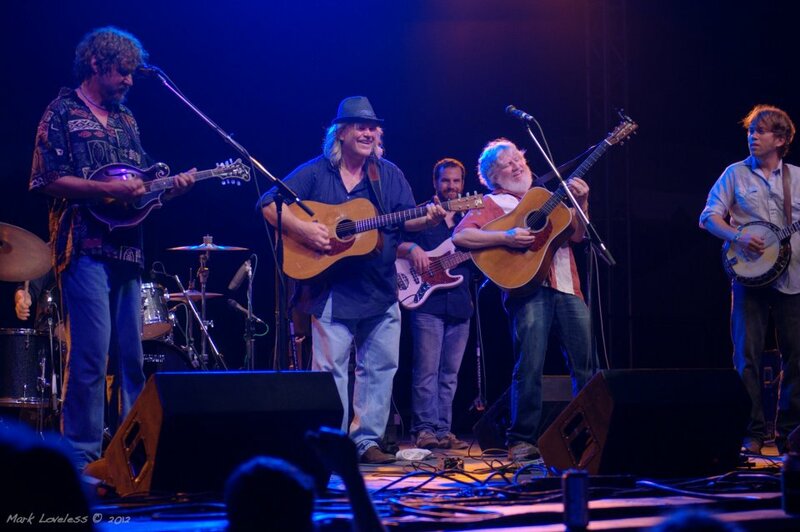 If you’ve ever wanted to see members of three, four, five or more of your favorite bands playing together on stage until 4am, having just as much fun playing as you are dancing, all nestled in a valley touching the Potomac river, then Delfest is for you. Brief thunderstorms rolled through the festival each day but the large grandstands at the Allegany County Fairgrounds where the festival is held provided ample shelter. That is, unless you were one of the mud people…entertaining the rest of the festival with mud wrestling, mud football, mud Frisbee and general mud sliding. When the days got hot, the Potomac River, which was hardly a 2 minute walk from my campsite, provided blissful relief. The best parts about Delfest are the countless guest sit ins that occur at nearly every performance. Most of the larger bands are scheduled for two shows spanning two days. This really creates some time for the band members to get settled in to the festival, see some other bands play and also sit in with them. It was delightful to see Vince Herman up on stage with the Emmitt Nershi band as well as seeing Bill Nershi play with Leftover Salmon. 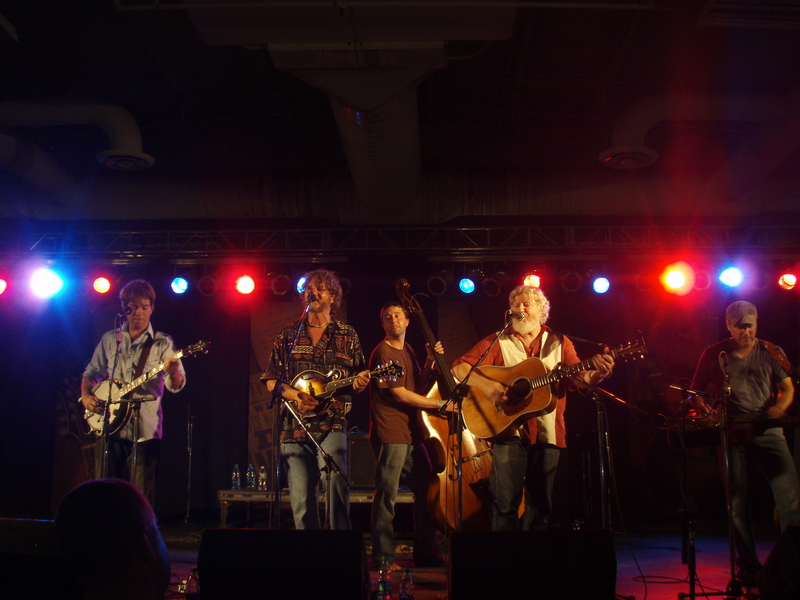 Not to mention Jason Carter, and Del, Ronnie, and Robbie McCoury hopping on stage with almost everyone. 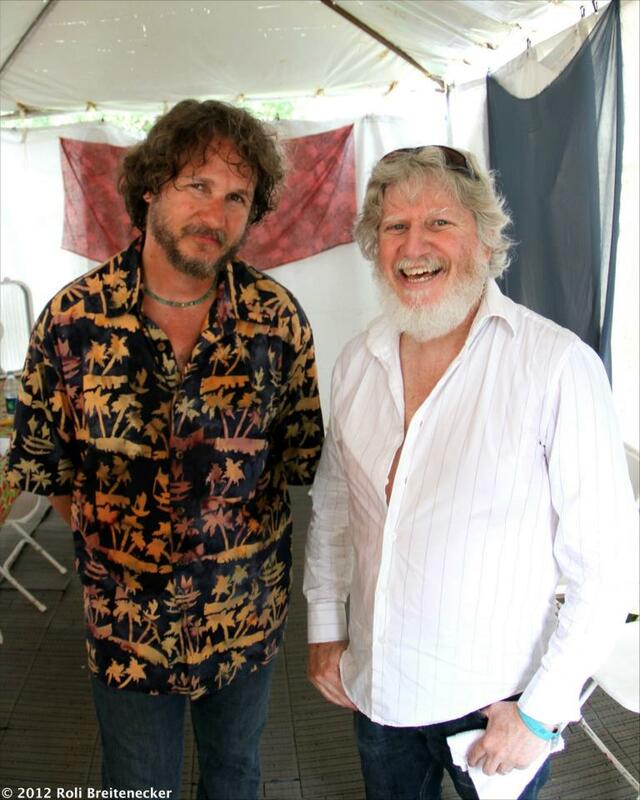 I was grateful to have some time to speak with Bill Nershi, guitarist for The Emmitt Nershi Band and The String Cheese Incident, after the first Emmitt Nershi Band set of the weekend, Saturday afternoon at Delfest. 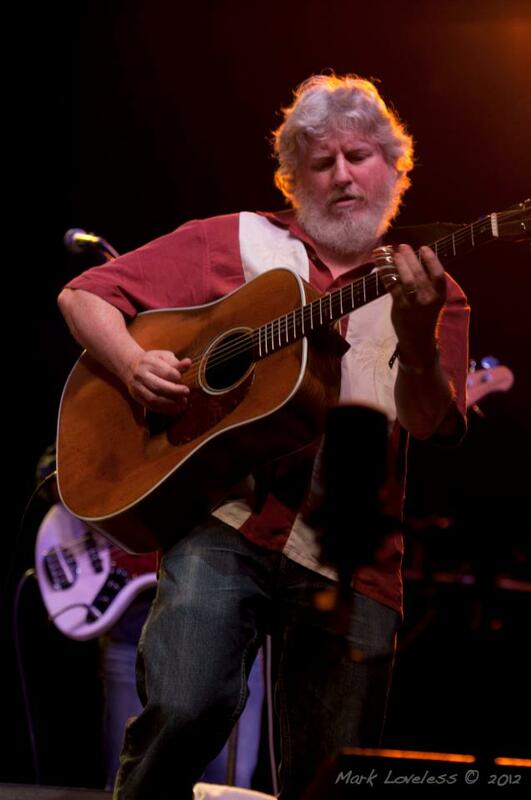 We talk about the early days of The Emmitt Nershi Band and String Cheese Incident; the joys of playing at a bluegrass festival; his relationship with Leftover Salmon; and the current state of String Cheese Incident. 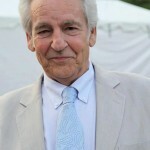 Nershi: Well I’m happy with it now. I think that there was a period of time there that was really good during ’99, 2000, and 2001. But then a little after that I started burning out on it. A little bit. I mean we still worked really hard to make the music good but I was getting burnt out on the project. We had spent a lot of time together at that point too. It wasn’t much longer after that, that I ended up quitting. SCI Radio: Well 2002 to 2007 was quite a few years. Nershi: Yea and there was good stuff happening and everything but then we started having some issues. SCI Radio: Some people have said that April 2002 is the best month in Cheese’s history, musically. Nershi: That’s funny I’ve never heard it pinpointed like that. But I’m really happy with where we’re at now. SCI Radio: How was the Hangout Festival? 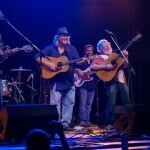 Nershi: Hangout was awesome. It was great. It’s just such a different thing playing the shows that we are now. Before we would just be in the swing of things on tour and be warmed up and everything. Now, the last show we played before The Hangout was December. So we have to be able to walk on stage and go “One, two, three…” and hit it and be in full form. 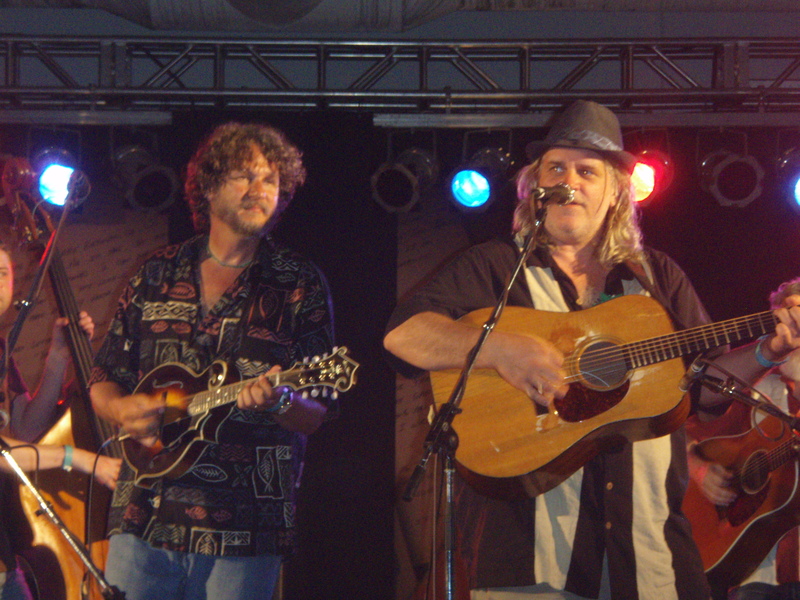 What inspired the Emmitt Nershi Band to form? 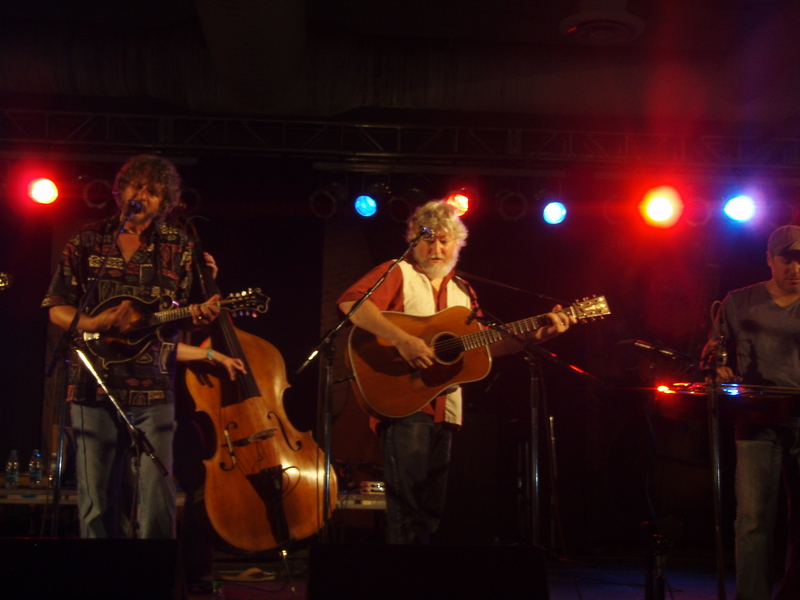 Bill Nershi: Drew and I played a show that was put together by Pete Wernick, who is the banjo player in Hot Rize, at the Boulder Theatre. 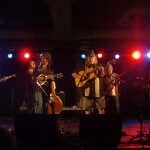 It was a group of musicians from different bands that were put together to play a show. So Drew and I played some songs together there, maybe 8 years ago. And after that night of music, we hung out and thought that was really great. We talked and said “This was pretty fun…at some point, maybe we can get something going…maybe start band”. It was unspoken that we’d be playing bluegrass. 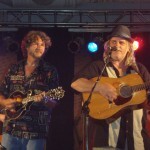 We both really love to play bluegrass and in our bands we get some of that, but maybe not the kind of bluegrass fix that we both like to get, so we talked about maybe putting something together. Salmon went through a period where they didn’t play that much and Drew was playing with his bluegrass band that he had going. Then right after that, you know, I quit String Cheese for that short amount of time, heh it didn’t last very long, only a couple of years but I kinda needed to stop. I think in a lot of ways, all of us were kind of hitting the wall with that and needed a break. So when that happened, I gave Drew a call and said “Hey, I’m free to play some music. Let’s get something going.” And that was it, we started it. We’ve been playing about five years now. Has it been the same lineup the whole time? Bill Nershi: Well, first Chris Pandolfi was in the band, playing the banjo. When we started it was more like the Drew Emmitt Band, with me in it. And then things happened and people turned over and Pandolfi met the guys in the Infamous Stringdusters and started playing with them. When he did that he said “I know someone that can step in for me…you need to talk to this guy Andy Thorn”. We called Andy Thorn and pretty much took him without hearing a note because of the recommendation from Pandolfi. Greg Garrison was playing bass with us when we started out and then he couldn’t do it any more. And then Tyler Grant said he wanted to play bass and even though he plays bass, he’s not a bass player. He was playing guitar with Drew in the Drew Emmitt Band. 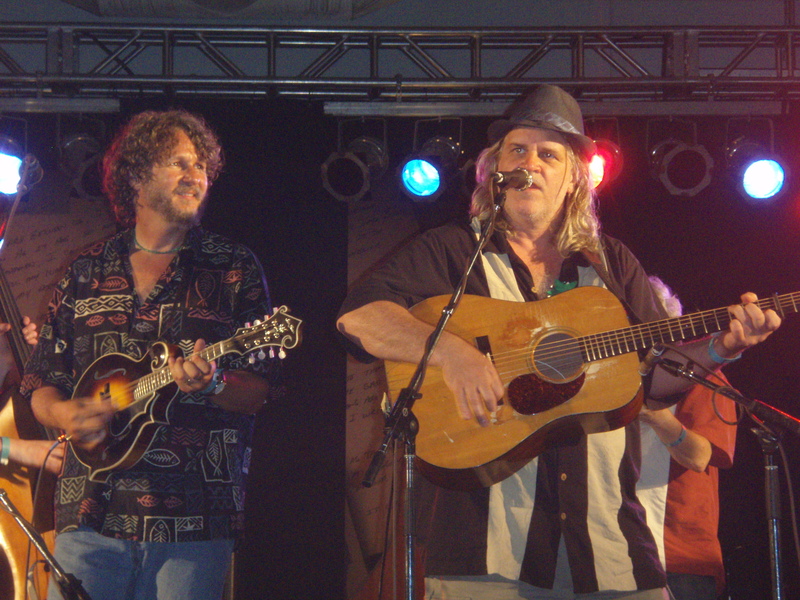 He’s an incredible guitar player and he knew all the songs so we had him play bass and Andy play banjo. And then Tyler got to the inevitable point of saying “I need to be playing guitar”. So he left the band to start his own thing, the Grant Farm. At that point we kind of put it out there on our website that he was leaving the band and then Jonny Grubb got in touch with me through some friends. 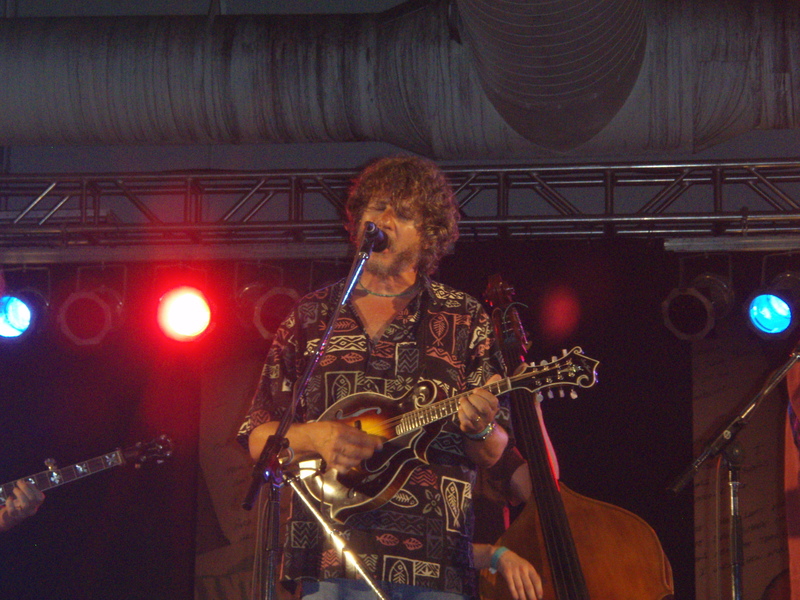 I thought, “Wow Jonny Grubb!” Him and Carey Harmon (of Railroad Earth) have been one of my favorite rhythm sections. So when Jonny heard about it he thought it was perfect. He had stopped touring with Railroad Earth and really wanted to play some music but didn’t want to get into a band that was going to be full time touring. Since we have our other bands we play a lot but it’s not full time. So it was perfect for him. So Jonny joined the band and that’s the lineup that we have right now. Its been really good and really tight— Streamlined as just a four piece. Then tonight we had a lot of friends that sat in. Jason Carter played fiddle on our album and also sits in with us whenever we’re in the same neighborhood. 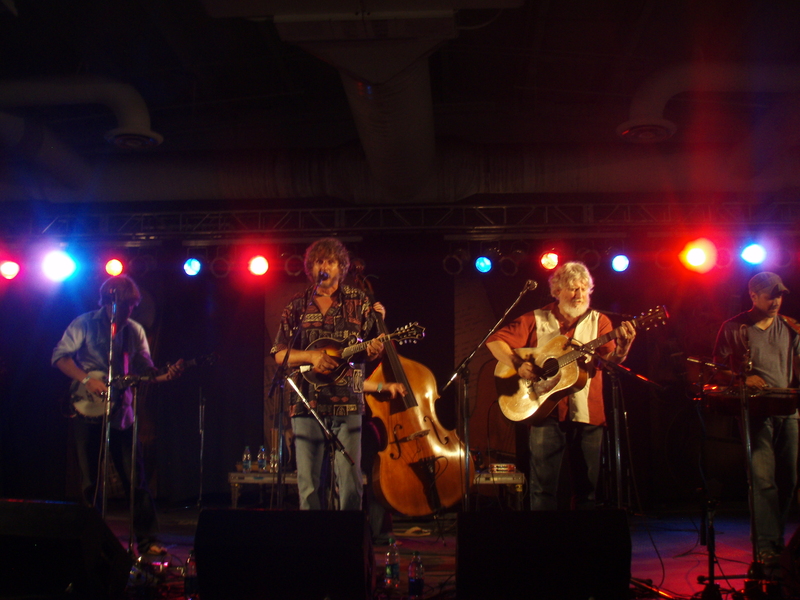 Does the vibe of a bluegrass festival, like Delfest lead you to step up your playing to prove your chops with all the other top notch bluegrass players? Well I try not to look at it like that, like I’m trying to keep up. It is very cool to be brought into the bluegrass world and be able to play with the McCourys and the ‘Dusters and a lot of friends like that. It makes me work at it a bit, you know, knowing that I might be picking with the McCourys. Just having people like Andy Hall and Jason Carter on stage, it’s not like I’m consciously trying or saying to myself “Oh I’ve gotta really step it up here because these guys are so good” But the energy and the playing that they bring rubs off on you and drives you to get after it a little more. 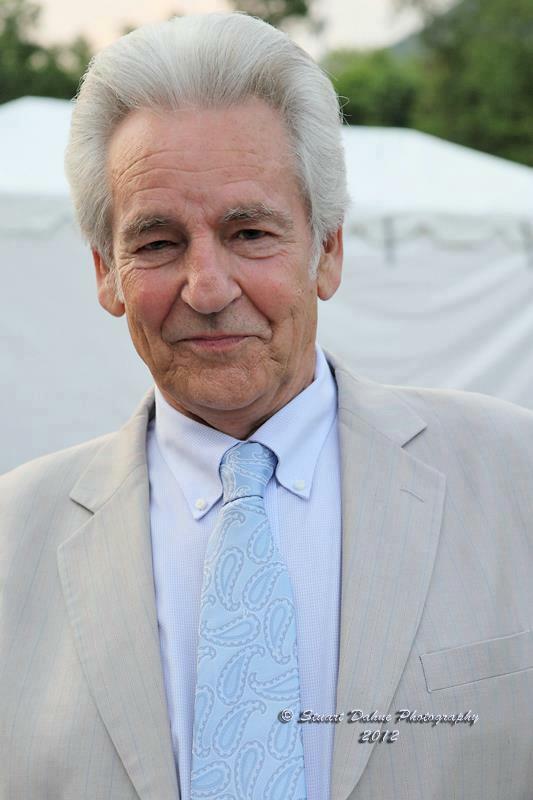 When was the first time you saw Del McCoury play and how has he influenced you as a player? I saw The Del McCoury band for the first time in Telluride. 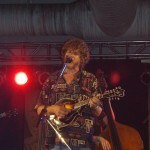 I don’t recall the year because I saw him a few times at the Telluride Bluegrass Festival. I liked it because it was hard driving bluegrass. And that it was also really bringing that authentic element that goes all the way back to Bill Monroe, since Del played with Bill Monroe. 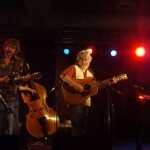 The kids learned from Del and also played with a lot of the old traditional bluegrass acts. 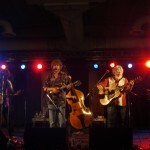 They have that ability to play bluegrass that sounds like the real mccoy. At the same time they’re progressive and they’ll play with bands like String Cheese. “Oh String Cheese? We’ll come and play the Winter Carnival with you, you know?” And they don’t mind taking chances and staying in the mix of the Jam band scene. Now they’re playing with Keller, which is awesome. But you know, Keller, and me, and Drew, and all these people have a chance to really hear how a real bluegrass band sounds and the parts that they play and how it’s put together. It’s really great to be able to tap into that. 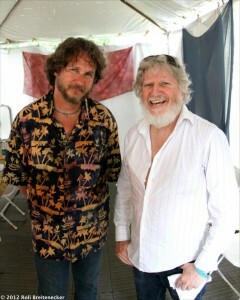 You’re clearly friends with the members of Leftover Salmon. What was their role in the early days and formation of String Cheese? 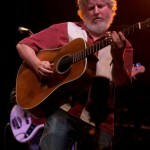 I used to go see Leftover Salmon, before I was playing in String Cheese. They were one of those bands I would go out to see every time they came through town. I liked the way they sounded. It was always a good time and it was a real big part of the Telluride music scene. Everybody knew Salmon and the locals would go check it out. I’d go out and go dancing and Vince would sing me into his song and then have me come and sit in and play a couple tunes. Not because I was in a band of any sort, but we knew each other and he knew that I was one of those people in Telluride that a lot of people knew. It’d be fun and he’d get me up there on guitar with those guys. 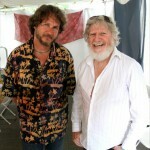 So, I always admired him and had a lot of fun when I’d get to sit in with him. When String Cheese started, Salmon was already up and running and going strong and we used them in a lot of ways as a model to get rolling. We’d talk to them a lot and ask questions and try to get gigs opening up for them and things like that. We even covered some of the tunes that they were doing. Are you aware that you and Vince have interchangeable bobble heads? Nershi: Well yea…heheh. It’s been fun. It’s so great to have Vince come and sit in with us after having Vince pull me up from the dance floor and play a couple songs with Salmon way back in the day…we’re all friends. 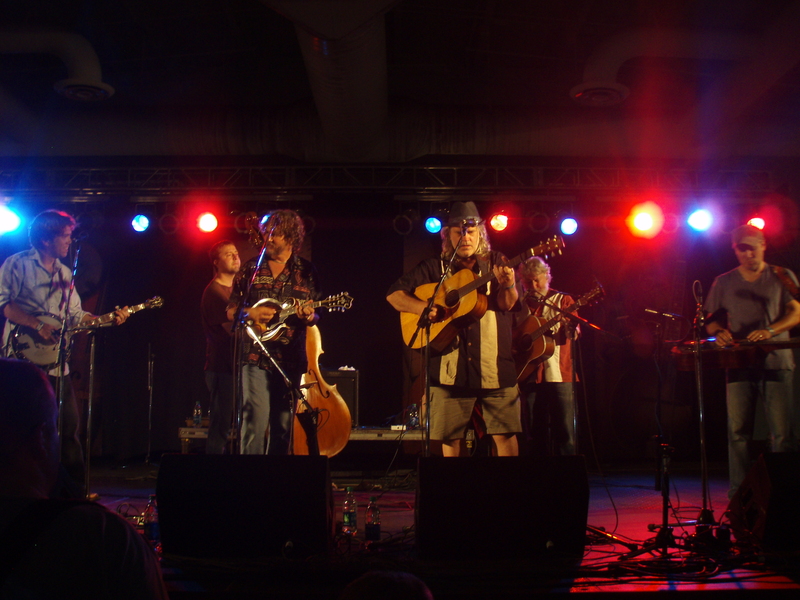 Where else is Emmitt Nershi band playing this summer? We’re playing Wakarusa next weekend. We’re both kind of busy with our other bands this summer so we haven’t taken a lot of gigs. We’re gonna play more in the fall. Well, thanks for running String Cheese Radio, it’s great. And just that String Cheese is pretty pumped up right now. We have a couple of weeks off coming up while some of the guys are playing some other shows and then we’re back into the practice room getting things whipped up for the summer. This summer looks like one of the best summer runs that we’ve done yet. It’s looking really good: Electric Forest, Red Rocks…you know heading out to the Greek Theatres in California and then Hornings! There’s no clunkers. Oh yea and Salt Lake City and Flagstaff. It should be good to do a little run out to California to get things rolling. We’re just trying to keep things fresh and get creative with the songs we’re playing. There’s always a lot of new material people are writing and we’re trying to figure out ways of incorporating some of the acoustic elements and some of the electronic elements together. That’s our goal. To get those things fused together so maybe we create something new. There’s one more thing I’ve been wondering. What’s the origin of Michael Travis’ nickname: Starfruit Commander Homer Travis McGee? Heh, a lot of things happen when you’re driving around on a bus together. I don’t know? I just started saying it, not sure exactly where things like that happen. But when you’re basically living with the same people all year long, you kind of come up with some things. There’s another one, Wavy Gravay…I guess Travis has quite a few of them. I don’t know exactly where they came from.